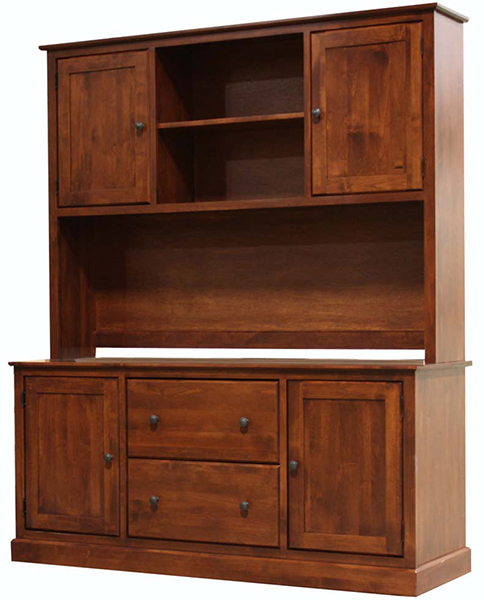 From Alder Executive Home Office Collection. Available unfinished, factory finished or custom finished. Knob choices: brushed nickel, antique bronze or wood. Contact retailer for details.